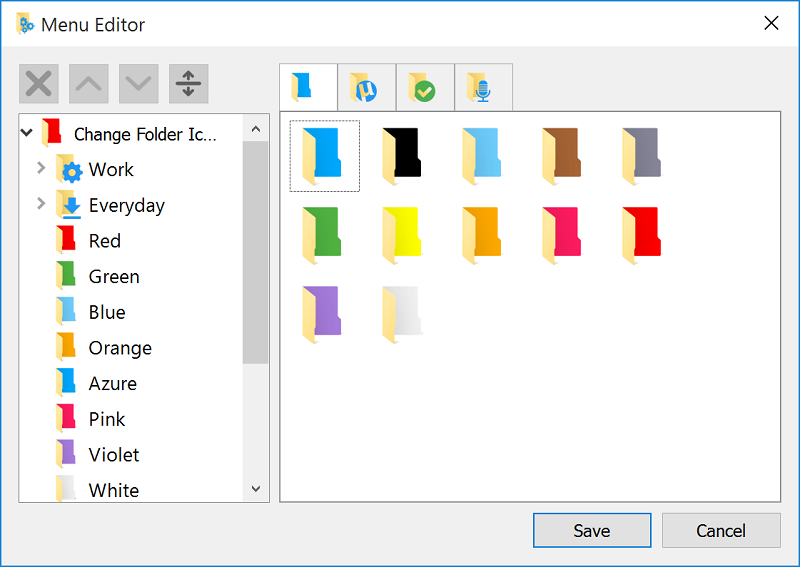 One of the distinctive features of FolderIco is its ability to quickly change the default folder icons to something more meaningful and self-explanatory. 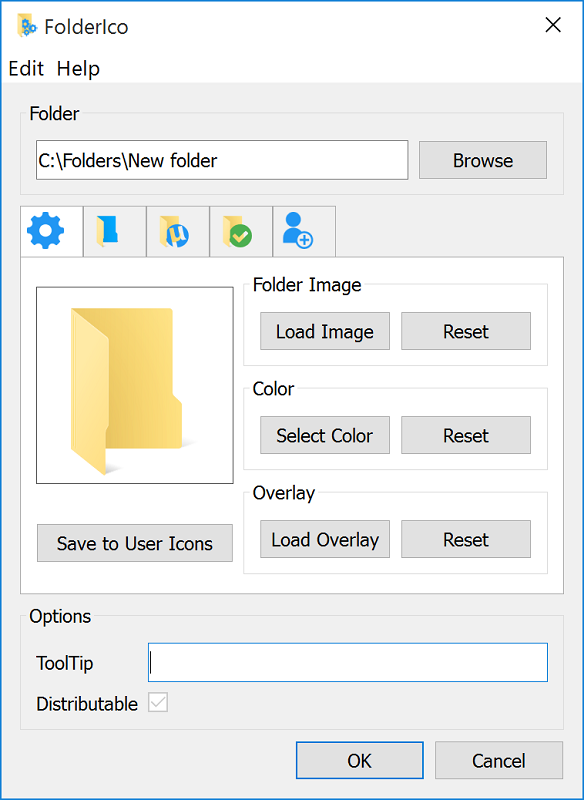 That's really great, and FolderIco comes with a bunch of predefined folder icons already available in the FolderIco Explorer context menu. Now, what if you want to add some more icons to this menu or replace some of the default ones? 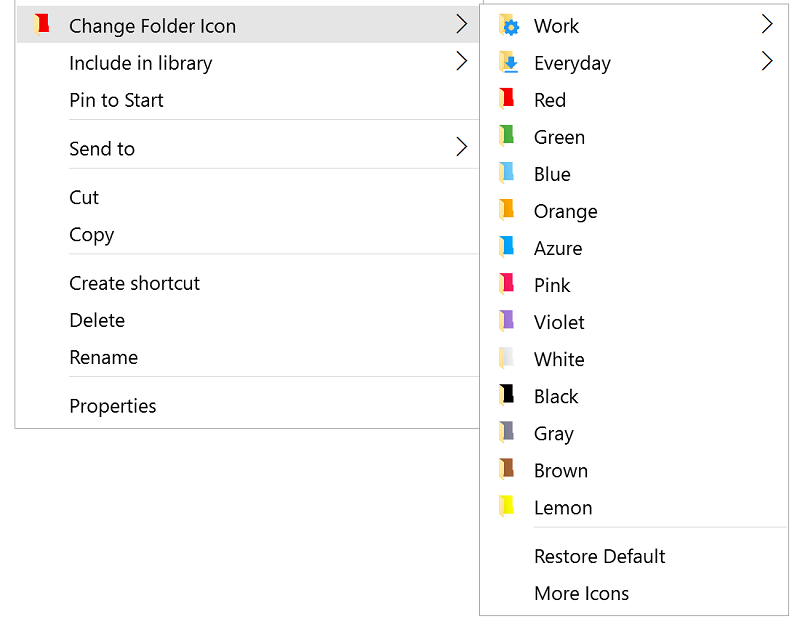 Here is how you can customize the Explorer right-click menu and add your own icons to the Change Folder Icon menu. 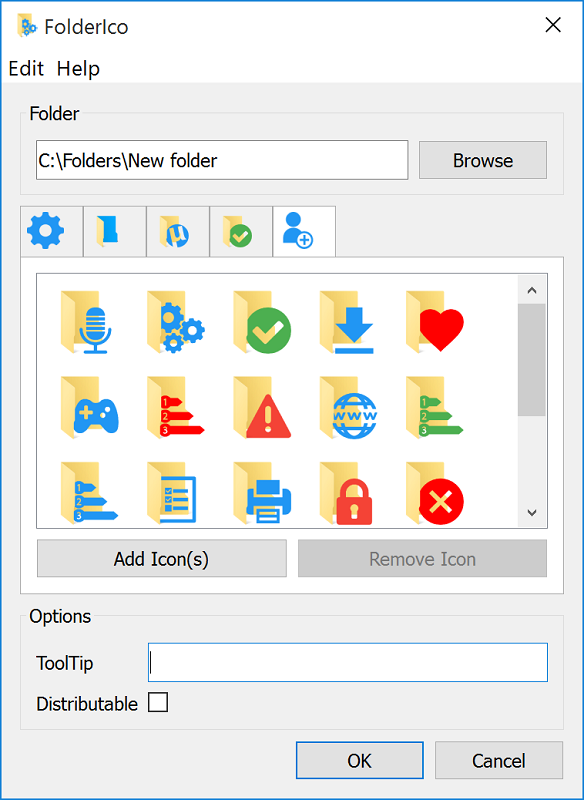 Before we can add custom icons to the Explorer menu, we need to load them into FolderIco first. In the FolderIco window, switch to the user icons tab. Then, click the Add Icon button to load icons you want. Note that the actual image format doesn't matter to FolderIco; the app automatically converts any supported formats to ICO and resizes them accordingly. Since we need to embed our own icon to the menu, select the "Edit->Menu Editor" command. At the left panel, there's a representation of the current right-click menu. The right part displays all available icons. In this dialog you can rename existing icons, add new ones, even add new sub-categories to stack similar icons together. To rename an item, double-click it and enter a new name. To create a new category, simply drag one item to another. For instance, here we dragged Blue into Azure. To add a new icon, drag-n-drop the icon you want from the right side and place it where it fits the best in the menu order. 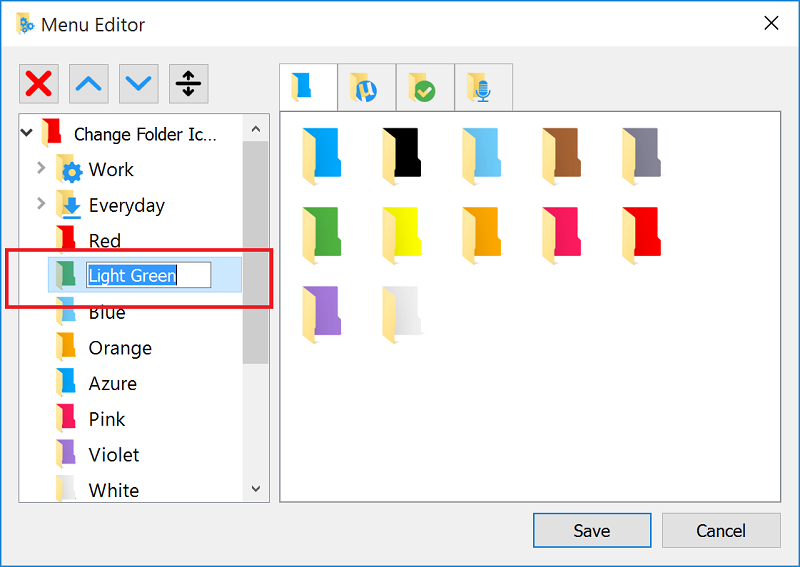 The upper buttons allow you to delete an unnecessary menu item, move it up or down inside its parent category or add a divider. Save all changes done, and test if the menu functions as planned. 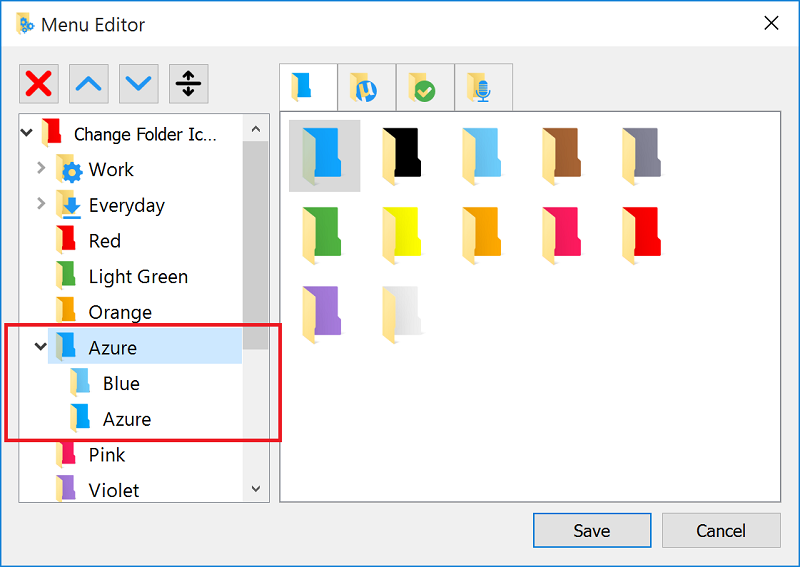 Right-click a folder in any Windows Explorer window and try to apply the icon we have just added to that folder. Looks cool, eh?